The IS118 is the companion subwoofer to the IS7. The enclosure is loaded with a light weight, long excursion, 18" ND18-S Kevlar Neodymium driver utilizing Adamson's Advanced Cone Architecture. 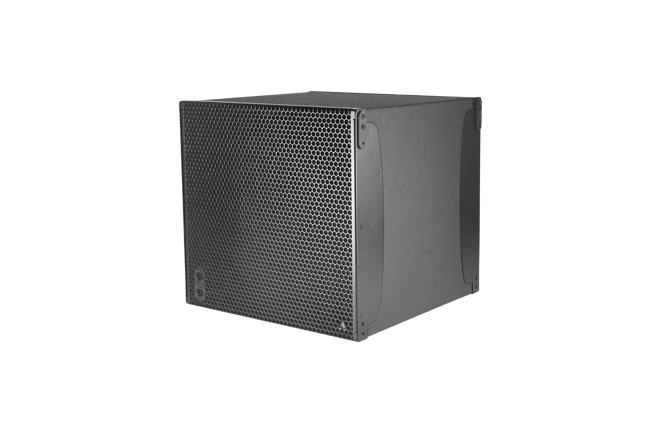 It is mounted in an ultra-efficient front-loaded enclosure, designed to reproduce clean, musical low frequency information. The cabinet construction uses marine grade birch plywood as well as aircraft grade steel and aluminum, and is equipped with two front and back SpeakonTM NL4 connectors, or barrier strips available upon request. A dual grill solution is used so that when arranged in cardioid mode, the appearance does not change. The integrated rigging system matches the rigging for the IS7 and can be flown in the same array with a simple adapter frame.